Product prices and availability are accurate as of 2019-04-18 17:08:19 EDT and are subject to change. Any price and availability information displayed on http://www.amazon.com/ at the time of purchase will apply to the purchase of this product. 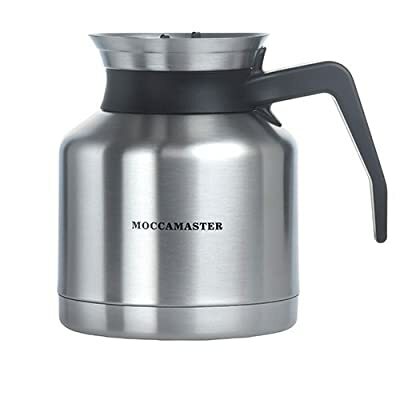 Stainless steel Thermal Carafe keeps coffee hot up to an hour. The Brew-Thru Lid is engineered to allow coffee to drip into the carafe during the brew cycle and minimize heat loss while holding the coffee. The lid is also a pour though lid, so there is no need to take it off or loosen it to pour coffee. For this reason, if properly used, your coffee will stay warm for up to an hour.